This great puzzle play game encourages young learners to explore the game board, count the colours, collect the beads and compare results. 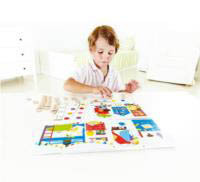 The children find and count images on the game board based on the colour dots shown on the game strip and then keep track of the count of coloured items with beads. 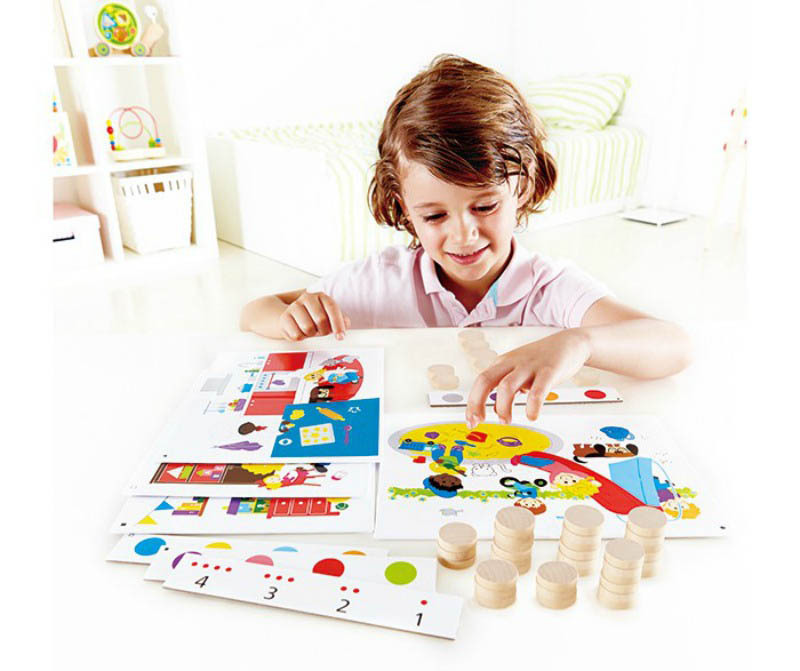 Encourage a child's visual perception, counting and colour knowledge, mathematical and language play. Includes: 4 x game boards, 4 x game strips and 45 x beads.